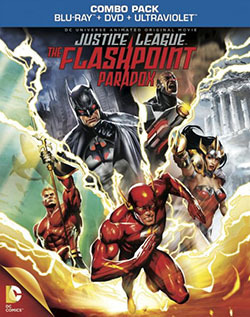 When I heard that DC was going to be publishing an animated story around the Flashpoint storyline, I was scared. The story was not a simple one. 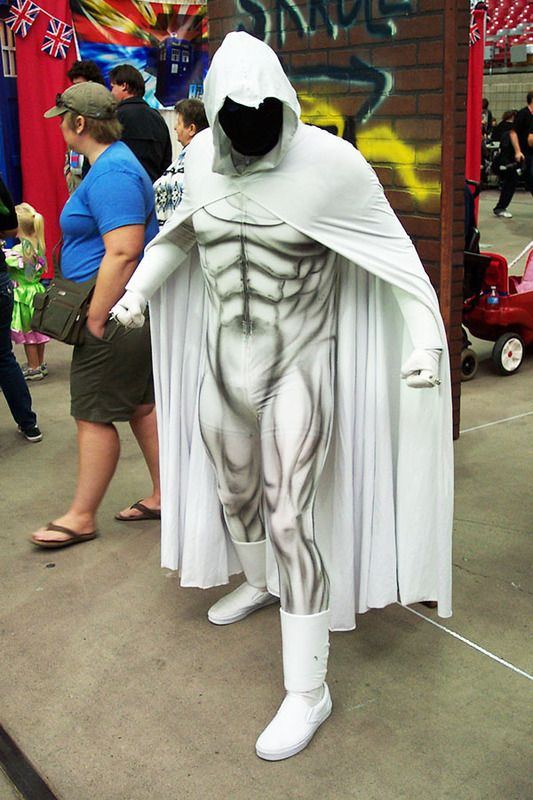 It would be like trying to do Blackest Night or Crisis on Infinite Earths. (Tho, yes, I would love to see movies of both, even if they were hours long just to make sure all the important stuff got in there.) About a week prior to the actual release last Tuesday, a friend of mine told me that his pre-order of Justice League: The Flashpoint Paradox had started downloading on iTunes. I told him not to spoil it for me. He hadn’t read any of the multiple mini-series that made up the event, but he enjoyed the movie. So, I started looking forward to the release of the movie. I was actually very pleasantly surprised with how close they actually stuck to the comic books. There was obviously some differences and a lot of stuff left out. (There was a lot of story in the comics and you can only show so much in a 75 minute movie.) I did enjoy it though a lot more than I ever thought I would. I’ll go into details about what happens in the movie and what differences I notice below the spoiler warning. It starts out with the pre-Flashpoint reality with Barry Allen as a young kid. We get to see him with his mother and then we jump ahead to when Barry arrives home to find his mother dead. (They only attribute it to a burglar instead of getting into the whole thing of Professor Zoom killing her.) After her funeral, we move on to present day Barry with Iris in a graveyard on the anniversary of her death (which was also her birthday). He gets an alert on criminal activity and runs off to battle the Rogues. With the help of the Justice League, he beats them and runs of into… well… the title screen. Next thing you know, Barry is waking up at his desk. He gets up, sees news about Citizen Cold (which he doesn’t notice the name change) and starts to head out the door when realizes his ring is missing. He then falls down the stairs and then looks up to see his mother who is now alive. Then we start seeing the characters of the Flashpoint universe. We start with Batman who is fighting YoYo, who appears to be this universe’s Harley Quinn. We communicates with Cyborg and his potential team (Enchantress, Pied Piper, Citizen Cold, Shade the Changing Man, the original Sandman, and the Shazam kids) before going home where he finds Barry (after finding out Iris is married to someone else now) who thinks he is Bruce until he learns otherwise. This is where he starts the process of trying to get his powers back. (He suddenly has his ring again and it’s never explained how.) We see him fail the first time, get seriously burned, and then try again. Once all the pieces are put into place in the movie, Flash and Batman join Cyborg under the condition that they go rescue Superman who is still the weakling he was in the comics due to being kept out of the light of the yellow sun. Flash keeps having his memory overwritten as time goes on. Eventually, Wonder Woman’s Amazon army starts fighting Aquaman’s Atlantean army with Cyborg’s team caught in the middle. Flash tracks down Professor Zoom who is the only other person who remembers the other reality. He’s also the only one who knows the big picture and explains how Barry was the cause of this and not Thawne. As Barry deals with the revelation that he shattered time by trying to save his mother, he sees heroes get killed right and left. (I’m going to have to check out the comics again because I didn’t remember so many people getting killed.) Barry gets going trying to fix time. He gets back to what appears to be his universe but there was no interaction in the time stream with Pandora as he had in the comics. As in the comics, he does have the note from Thomas Wayne to give to Bruce. (This is part of the paradox since the note would never exist once reality was changed back.) One thing of note is that Flash’s costume is more like that of the New 52 Flash with all the extra lines they put on half the New 52 costumes. Following the credits, there is a quick scene that cements the future of things. We get a view of the Earth and the camera starts panning up. All of a sudden a boom tube opens up and out fly a whole bunch of parademons. As someone who didn’t read the comics, yet loves to wiki everything I could see a few differences in between the two mediums, not quite the eye you have for it though. I loved the movie, as most of the DC animated movies I think are pretty great. I think both Blackest Night and Crisis on Infinite Earth would make for some fantastic minieseries. Love the write-up!